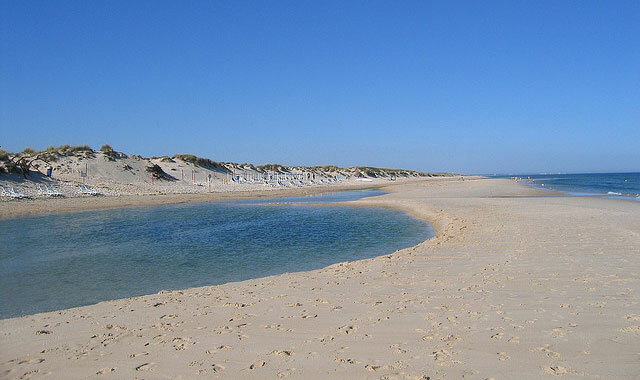 Praia do Barril (in English: "The Barrel Beach") is one of the most emblematic beaches of Tavira. This beach is really an extension of Ilha de Tavira. 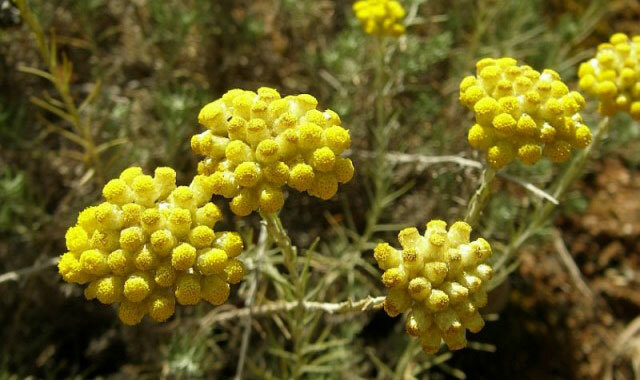 However, this section is easily reached from the tourist villages of Santa Luzia and Pedras del Rey. From the latter village a small train takes the visitors across the Ria Formosa and into the sandy island bar in a slow journey which reminds everyone that they are definitely on holidays! To the West, the Praia do Homem Nú "Beach of the Naked Man" is officially a naturist spot. This overview is a summary about Barril Beach. For a more in-depth write-up we recommend you visit the page about Barril Beach in Tavira Guide. The Beach of Barril is located roughly half way (~3Km) through the island of Tavira, a narrow tongue of fine white sand. To get there you need to cross a narrow footbridge that rises above the river of the estuary (Ria Formosa) and then later on foot or in the small tourist train, for about 1Km until you reach the sandy beach. Along the way, which is very pleasant, it is worth watching the diverse fauna, especially the "Bocas" (crab typical of these areas) running to hide in the mud holes when people pass by, and closer to the beach the vegetation of the extensive sand dunes where you will notice a very distinctive smell of curry, originating from a small flower called "perpétua-das-areias". Access: To the beach is on foot, or on the small tourist train from Pedras D´el Rei (signposted and roughly one kilometre from the EN 125). There is a fairly large parking area near the village. The beach has various support facilities (restaurants and toilets) and is supervised during the bathing season. It is classified as an accessible beach. Praia do Homem Nu has no support facilities or supervision. The beach faces south-east.